As originally proposed, Rankine's theory is applied to uniform cohesion-less soil only. Later it was extended to include cohesive soil by Bell in 1915. 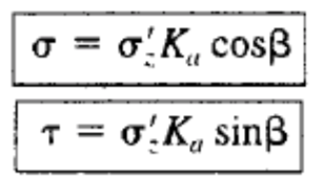 The most critical shear surface is a plane. In reality, it is slightly concave up, but this is a reasonable assumption (especially for the active case) and it simplifies the analysis. The ground surface is a plane (although it does not necessarily need to be level). The wall is infinitely long so that the problem may be analyzed in only two dimensions. Geotechnical engineers refer to this as a plane strain condition. The wall moves sufficiently to develop the active or passive condition. 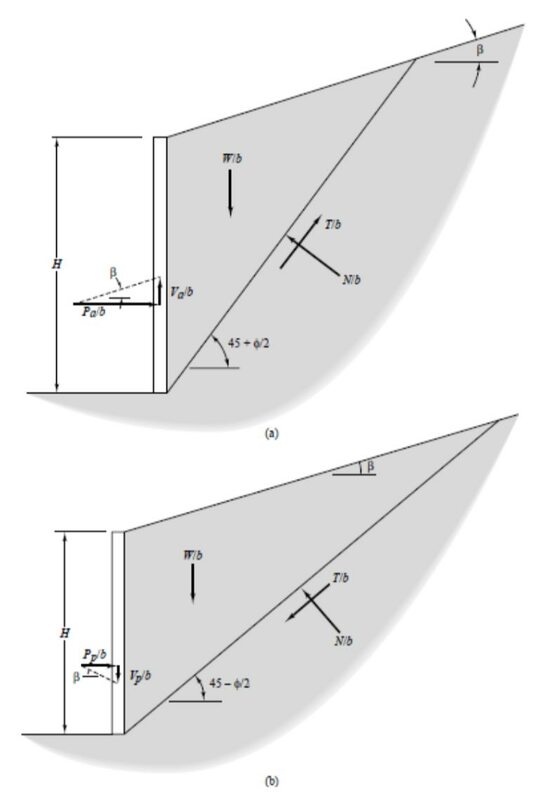 The resultant of the normal and shear forces that act on the back of the wall is inclined at an angle parallel to the ground surface (Coulomb's theory provides a more accurate model of shear forces acting on the wall). 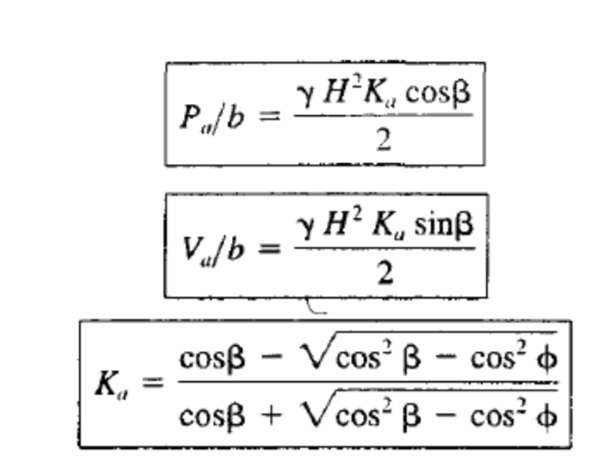 With these assumptions, we can treat the wedge of soil behind the wall as a free body and evaluate the problem using the principles of statics, as shown in Figure 1a. 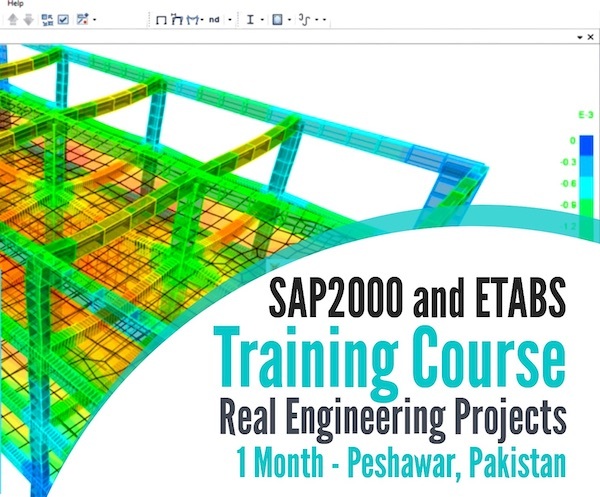 This is similar to methods used to analyze the stability of earth slopes, and is known as a limit equilibrium analysis, which means that we consider the conditions that would exist if the soil along the base of the failure wedge was about to fail in shear. Weak seams or other non-uniformities in the soil may control the inclination of the critical shear surface. 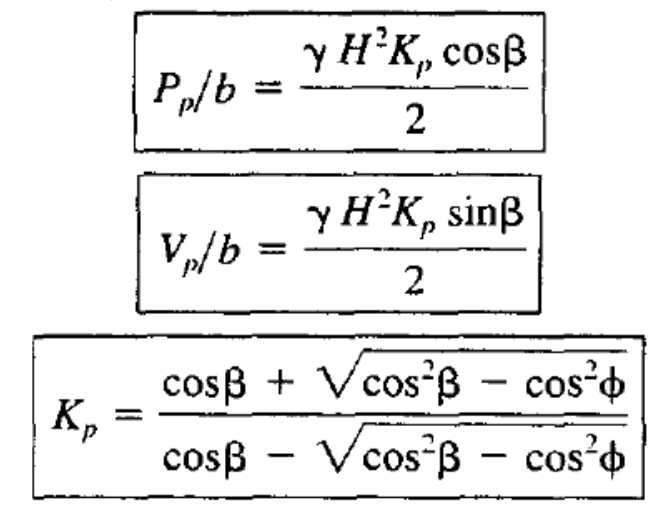 However, if the soil is homogeneous, Pa/b is greatest when this surface is inclined at an angle of 45 + φ/2 degrees from the horizontal, as shown in the Mohr's circle. Thus, this is the most critical angle. 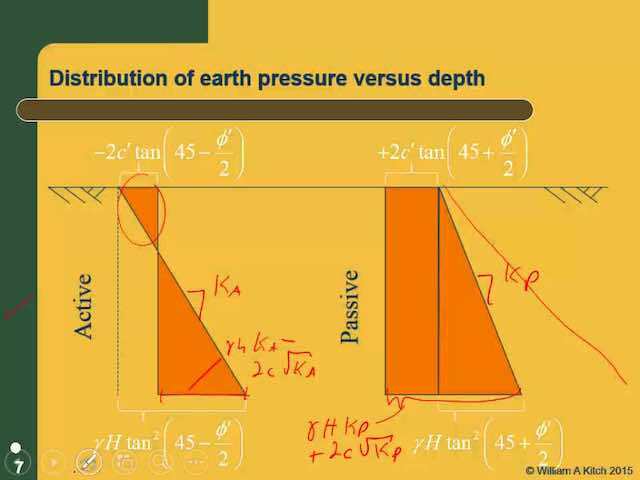 However, observations and measurements from real retaining structures indicate that the true pressure distribution, as shown in Figure 2, is not triangular. This difference is because of wall deflections, arching, and other factors. The magnitudes of Pa/b and Va/b are approximately correct, but the resultant acts at about 0.40H from the bottom, not 0.33H as predicted by theory (Duncan et al., 1990). 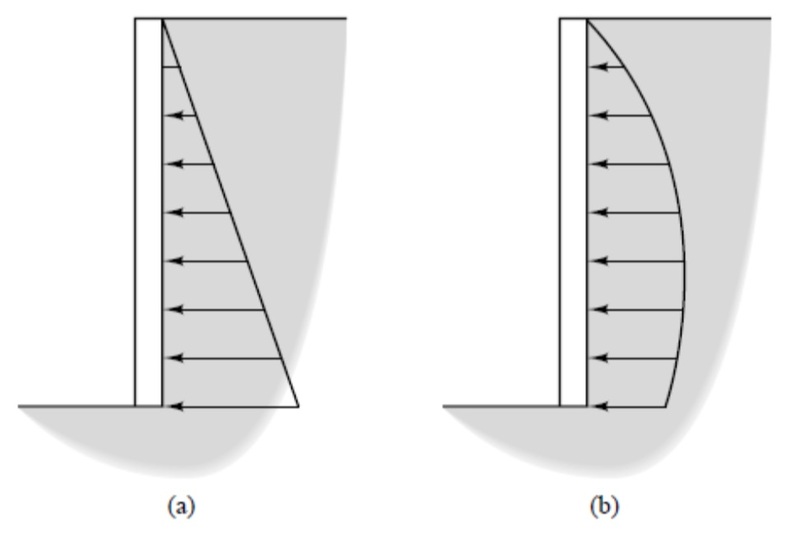 Figure 1: Free body diagram of soil behind a retaining wall using Rankine’s solution: (a) active case; and (b) passive case.